BREAKING NEWS From ZNBC main news at 19:00hrs. 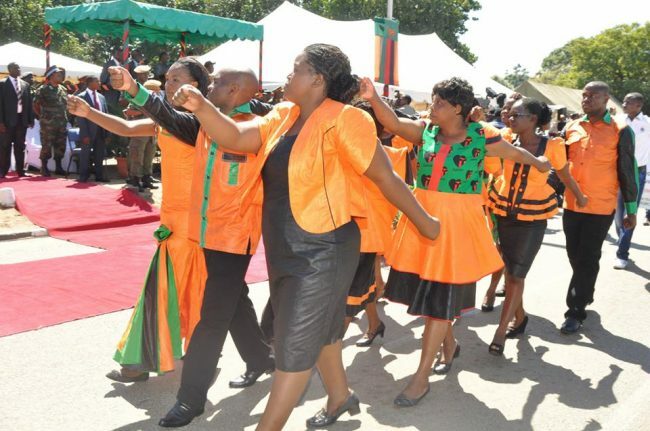 Government of Zambia will now start employing all civil servants on contract basis. This contract will be renewed subject to Performance of the employee. Civil servants already employed on permanent basis also will have their conditions of service revisited, everyone has to be on contract basis like permanent secretaries. Public Service Management Division Permanent Secretary Boniface Chimbwali said. It is no longer as it used to be when civil servants used to say, in government there is security even when they are not performing. NOW EVERYONE WELL BE ON CONTRACT BASIS. WHAT IS THE IMPLICATIONS OF THIS? THE government salary can be stopped at any time. There is longer job security in government. This is the most stupid decision that ever came out of Cabinet office if it is to be implemented. At times those that are in power like to make decrees so that they feel happy that people are dancing to their tunes. The experience that senior civil servants have is important for training of their juniors. So it wrong to have most Government workers on contract . Another question to ask is how was such a decision arrived at. Were there any appropriate consultations. Was there any comprehensive study to look at the situation? Anyway let the PF government continue to make such mistakes because at the end of the day they are de campaigning themselves. This is good news as long as the salaries (especially for the Police Force) are improved coupled with a good gratuity amount of money which is paid promptly when the contract ends. The current scenario is bad because after working for 30 years, a case (especially one involving politics) will be framed for the employee deliberately so that he/she loses his/her benefits. I hope Chimbwali will expedite the changes. As a police officer I really want these changes!